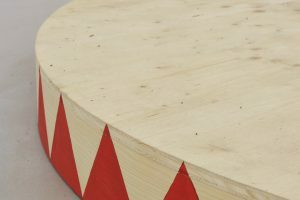 Dublin-based artist Seamus Nolan has exhibited his often socially engaged projects nationally and internationally, including at the Terminal Convention, in association with the National Sculpture Factory, Cork, and Static Gallery, Liverpool; The Mattress Factory, Pittsburgh; The Model, Sligo; and Project Arts Centre, Dublin. Nolan has received the Irish Arts Councils Commissions and Bursary Awards and CREATE Artist in the Community Award. Nolan will research and produce of a new project for Contours of the Common during the Summer of 2012.